Before you go out and buy this – check the Table of Contents – it’s political, informative, fascinating – but it’s about Identity, Citizenship, Reporting, States, Revolution, Terrorism, Conflict, Combat, Intervention and Reconstruction – that’s from the TOC and it’s accurate. Check out the reviews and who wrote them. 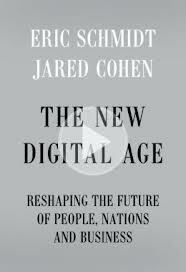 Chapter 3 – In terms of social movements – it seems that technology can get the people to the square, but the online leaders don’t know what to do with these people when they are in the square – much less how to form a replacement government. Successful opposition movements need time to develop. The movements need leaders who are more in tune with the population they intend to inspire and have had time to develop their skills and relationships. Most opposition groups spend years organizing. Kissinger is quoted, contemporary examples are given, the future is predicted. Chapter 4 – the response of States? They can follow the technology, too – and simply round up the activists. This is virtual containment – freedom of speech is a touchy area and it will be very difficult for an authoritarian government to know what “noise” is meaningful and what is not. The remaining chapters continue to deal with political scene from terrorism through war and recovery. The last chapter includes a lot of interesting ideas about the use of technology in times of catastrophe – some of the good stuff, the humanitarian stuff, technology can do. Overall much of this book is common sense for someone fairly knowledgeable who has the sources and has put some thought and imagination into it. The greatest thing about it is that the ideas are well-articulated as well as appropriately organized. I think the only part which might be misleading is the title – there’s not much about the future of people or business (except peripherally). This book is primarily political in a national and international sense of the term – It’s good – very good – go read it.